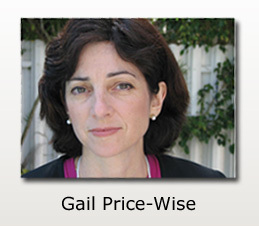 The founder and President, Gail Price-Wise, received her Master’s degree from Harvard School of Public Health in 1986 and has spent much of her career improving communication among people of different racial, ethnic, and socioeconomic backgrounds. She has focused on the serious impact of miscommunication and mistrust on the provider-patient relationship and how this contributes to health disparities. She had developed on-line and in-person training curricula in cultural competence, language access, and health literacy for the US Department of Health and Human Services, the US Agency for International Development, and the Florida Department of Health. She led the development of the web site, “The Provider’s Guide to Quality and Culture,” (erc.msh.org/qualityandculture) which was recommended by the Institute of Medicine in its report on Unequal Treatment: Confronting Racial and Ethnic Disparities in Health Care. Ms. Price-Wise is a past President of the Harvard School of Public Health (HSPH) Alumni Council and chaired its international committee. She is a past President of the Harvard Club of Broward County. She has written about international policies affecting women’s health for the recent edition of the women’s health book, Our Bodies, Ourselves. Her article “Language, Culture, and Medical Tragedy” was published in the Health Affairs blog, November 19th, 2008 (www.healthaffairs.org/blog). Ms. Price-Wise speaks Spanish and has worked or traveled in 24 countries. 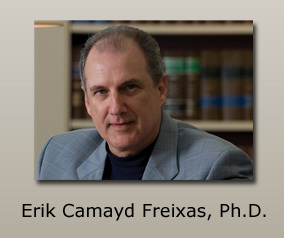 Erik Camayd Freixas, Ph.D. is Director of the Translation & Interpretation Program at Florida International University. He served as Director of the ISP Interpreter Training Program for the Florida Department of Children and Families and the Florida Department of Health. In that capacity, he developed the interpreter training curriculum that is used throughout the state and personally trained and tested almost 3000 interpreters. As a federally certified interpreter, Dr. Camayd interprets in federal court and on Spanish-language television for US Presidents and other high profile officials. He has written several books, including Interpreter Training: Legal, Medical, and Business Settings –An Introductory Textbook and Berlitz Consecutive Interpretation Exam and Evaluator Training Manual. Dr. Camayd received his Ph.D. from Harvard University in 1995 in Romance Languages and Literature. Dr. Camayd was born in Cuba.